Has the threat of urban terrorism, debacles like the disastrous response to Hurricane Katrina in New Orleans or just the general hassle of city life got you thinking about moving to the country? 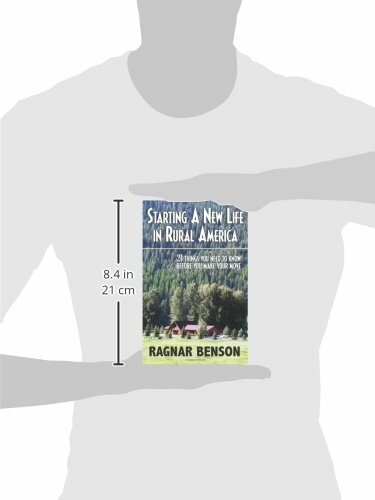 Good idea, but before you pull up stakes, heres a chance to learn about some of the realities of rural living that you might never have faced in your city or suburban home.Ragnar Benson grew up on a farm and has lived in the sticks for decades, and he has helped dozens of transplants settle into their new homes in the country. 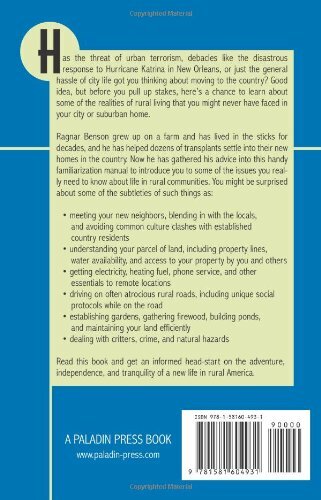 Now he has gathered his advice into this handy familiarization manual to introduce you to some of the issues you need to know about life in rural communities. You might be surprised about some of the subtleties of such things as: * meeting your new neighbors, blending in with the locals and avoiding common culture clashes with established country residents * understanding your parcel of land, including property lines, water availability and access to your property by you and others * getting electricity, heating fuel, phone service and other essentials to remote locations * driving on often atrocious rural roads, including unique social protocols while on the road * establishing gardens, gathering firewood, building ponds and maintaining your land efficiently * dealing with critters, crime and natural hazards. 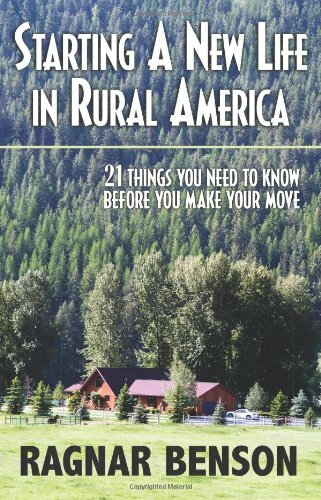 Read this book and get an informed head-start on the adventure, independence and tranquility of a new life in rural America. 5.5 x 8.5, softcover, photos, 194 pages.